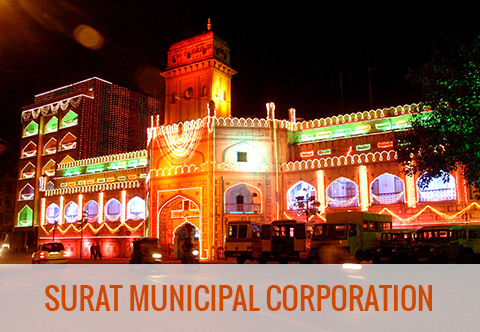 Surat Municipal Corporation is a local self government which has been constituted under State Legislature and governed and administered under the Bombay Provincial Municipal Act, 1949. 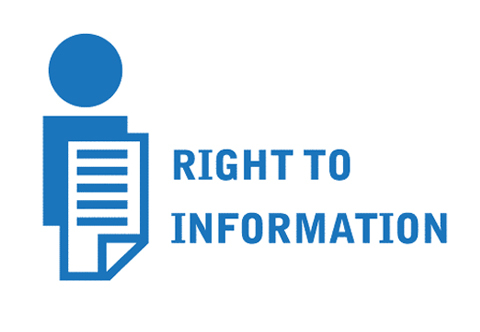 It carries out all the obligatory functions and discretionary functions entrusted by the BPMC Act,1949. 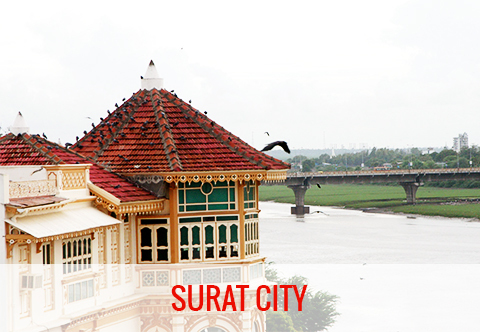 The Surat Municipality came into existence on 15.05.1852. 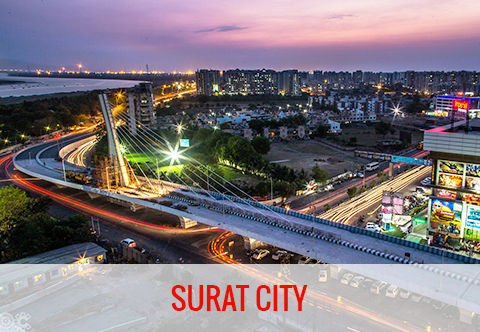 The Surat Municipality was converted into Surat Municipal Corporation on 1st October 1966. 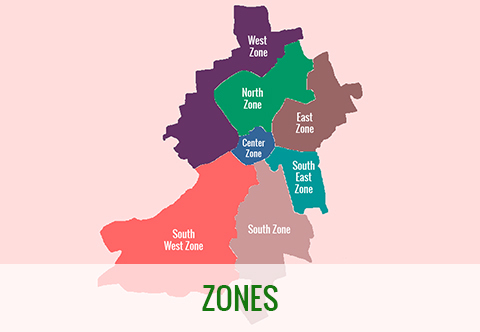 At present The area of the city is 326.515 sq.km and the population as per the Census 2001 is 2.87 million. 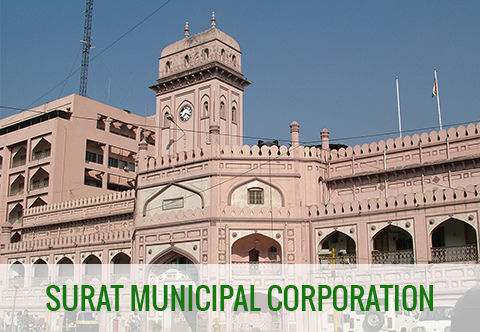 The organization of Surat Municipal Corporation consists of three authorities i.e. Surat Municipal Corporation (General Board), Standing Committee & Municipal Commissioner. Standing Committee comes into existence as per the provisions of Sec.20 & 21 of the BPMC Act and the Rules and Regulations for conducting the meeting of General Board as well as Standing Committee are under the provisions of the BPMC Act,1949 are as mentioned in the book of the Rules & Regulations to conducting the meetings of General Board & Standing Committee Rules 1980. Mayor shall be elected in the First General Board Meeting of SMC under the provision of Sec.19 (1) of BPMC Act, 1949, amongst the councilors elected in General Election as a Chairman of General Board. Simultaneously, 12 members of the Standing Committee shall be selected in the said meeting u/s.20 of the BPMC Act, 1949. Chairman of Standing Committee, shall be elected in the First Meeting of Standing Committee under the provision of Sec.21 (1) of BPMC Act, 1949, amongst the 12 councilors selected as the members of the Standing Committee. General Board, Standing Committee & Special/Ad hock Committees are the authorities to decide the proposals forwarded by the Municipal Commissioner. 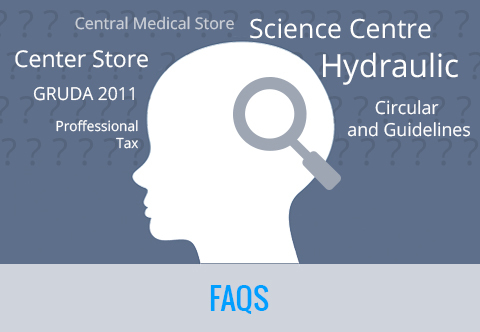 Municipal Secretary is the Administrative authority with regard to the administration of the Secretary Office. 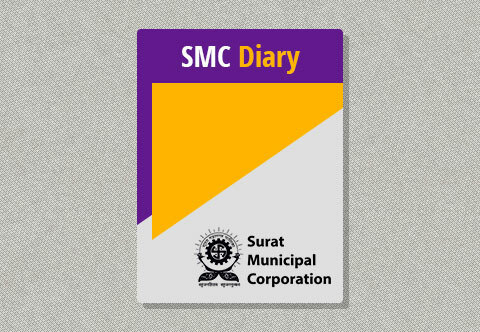 Special Committees & Ad hock Committees of the Surat Municipal Corporation comes into existence under the provisions of Sec.30 of the BPMC Act, 1949 and the Rules of conducting the meeting of Special Committees are conferred by sub section 1 of section 457 of the BPMC 1949, under Section 457 (2) of the BPMC Act 1949, which are mentioned in the book of Rules & Regulations of conducting the meeting of various Special Committees, 1980. Powers & Functions and duties of Special Committees are framed under the various sections of the BPMC Act, 1949 which are sanctioned by various resolutions of General Board of Surat Municipal Corporation and which are mentioned in the book known as the Function & Administration Rules of The Special committees 1980. Development of Gardens, Lakes & Zoo within City limit area. The main responsibility of Garden Project Cell is to plan, design and develop the land reserved for parks and gardens. 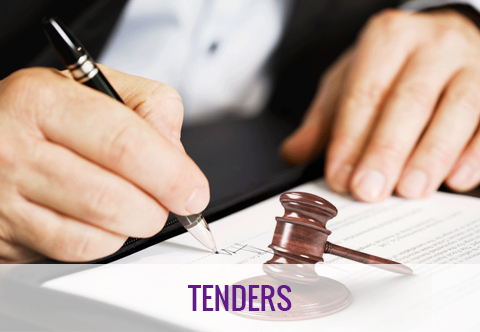 This involves taking possession of land from Town planning Dept. which is kept reserved for garden plot. Then planning of garden including civil structures like Gazebo, Water Hut, Toilet Block, Playing area, Jogging track, Walk-Way, Fountains, Skating Rink, Play Equipments, R.C.C. Benches, Lake development etc. with compound wall covering the whole land. After completion of garden’s civil works necessary green landscaping and it’s related maintenance work is done by Garden Superintendent. Public parks and garden departments main functions are to develop and maintain parks and gardens in city, avenue plantation, mass plantation, plantation in road dividers and traffic islands, production and maintenance of plants in nursery, free distribution of saplings to citizens for promotion of plantation in city, organization of horticultural fair for public awareness, removal of dried and dangerous trees etc. 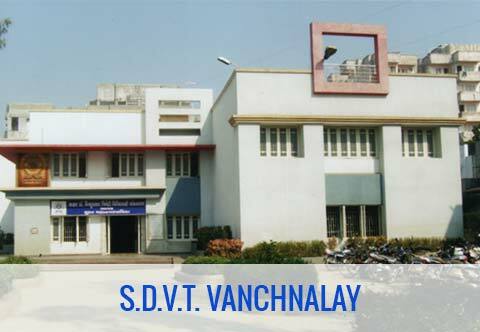 Department of Markets & Slaughter Houses of Surat Municipal Corporation carry out/perform the function and duties (obligatory & discretionary) as defined in section 63 and 66 of the BPMC Act, 1949 in general but specifically with the Chapter XIX, Market & Slaughter Houses of BPMC Act, 1949, pertaining to the maintenance and regulation of Markets & Slaughter Houses. 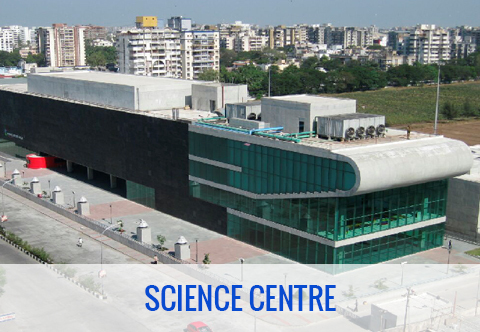 Department of Zoo & Aquarium of Surat Municipal Corporation carry out/perform the function and duties (obligatory & discretionary) as defined in section 63 and 66 of the BPMC Act, 1949 in general but specifically with the Section 38 H of the Wildlife Protection Act, 1972 to comply with the conditions laid down under the Rule 10 of the Recognition of Zoo Rules, 1992. 1. 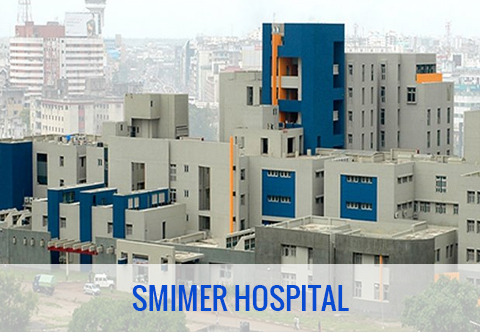 The maintenance work in respect of civil work including execution of Capital Works for SMIMER (Medical College) / SMIMER Hospital. 2. The maintenance work in respect of Electrical / Electronics Equipments including Control & Supervision of Capital Works of SMIMER (Medical College) / SMIMER Hospital. બી.પી.એમ.સી. એક્ટ 1949 ની કલમ 105 અને 106 અન્વયે ઓડીટ કરવાની મ્યુ. 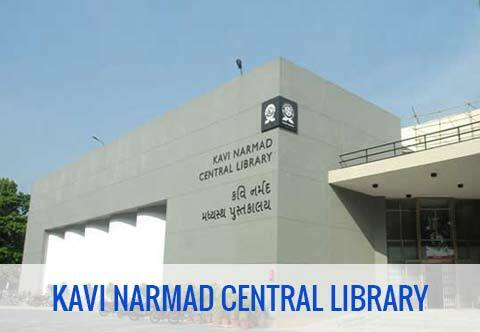 ચીફ ઓડીટરને સત્તા આપવામાં આવી છે.